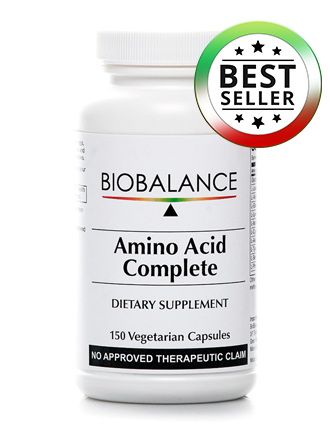 BioBalance Amino Acid Complete helps ensure the body has adequate amounts 20 essential and non-essential amino acids. Amino acids building blocks of proteins, needed in forming structural proteins like muscle, hair and collagen, and functional proteins like enzymes, antibodies, hormones, and other molecules. To ensure balance of essential and non-essential amino acids, testing for Amino Acids levels in the body is recommended.